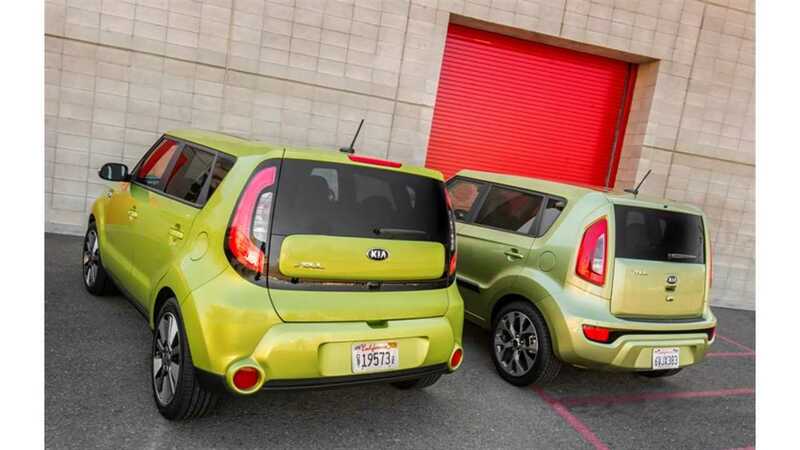 It was only yesterday when Kia spilled the beans on the 2015 Soul EV. Here already is one of the world's first test drive reviews, courtesy of the folks over at Autocar. The Soul EV weights approximately 440 pounds more than the ICE version. 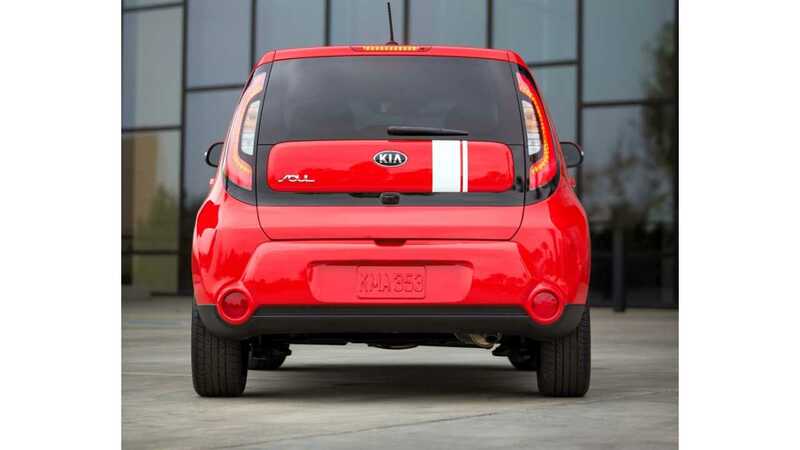 The electric Soul rides on a modified version of the Kia Cee'd platform, though this platform was designed form the get go to eventually go electric. Therefore, almost no interior space is lost by adding the battery pack, which slots in under the rear seats. Autocar spent only a brief time behind the wheel of the Soul EV, so the review is limited in scope. "The key visual differences between the standard Soul and its electric sibling include: subtle aerodynamic tweaks, different lights, a revised bonnet and grille and low-rolling-resistance 16in tyres." "In the grille are two charging points, one each for standard and rapid charging." "The Soul EV prototype we drove was heavily disguised, but offered some hints as to the design and ambience of the new car. It has sharper, cleaner exterior styling than its predecessor and a more upmarket interior, albeit one that is more akin to the standard Soul than the futuristic Renault Zoe or Nissan Leaf." "It has bespoke dials and gauges, and there are some neat energy-saving touches, such as the option to turn off the climate control to empty passenger seats to conserve power. Forward visibility is mildly improved thanks to slimmer A-pillars." "The Soul EV moves quickly away from a standstill, and the smooth, linear power delivery and very light steering make it an effective tool for driving in built-up areas." "...It feels less at home on faster roads, where a lack of positive steering feel is evident and there’s surprisingly aggressive deceleration upon throttle lift off." "Although the regenerative system charges the battery, it means the Soul EV doesn’t cruise under its own momentum particularly effectively." "On the strength of this prototype drive, the Soul EV rides comfortably, absorbing road imperfections well, but feels a touch ponderous during faster cornering." Should you buy one? Will you buy one? Without a firm price, answering either of those questions would be rather ridiculous. 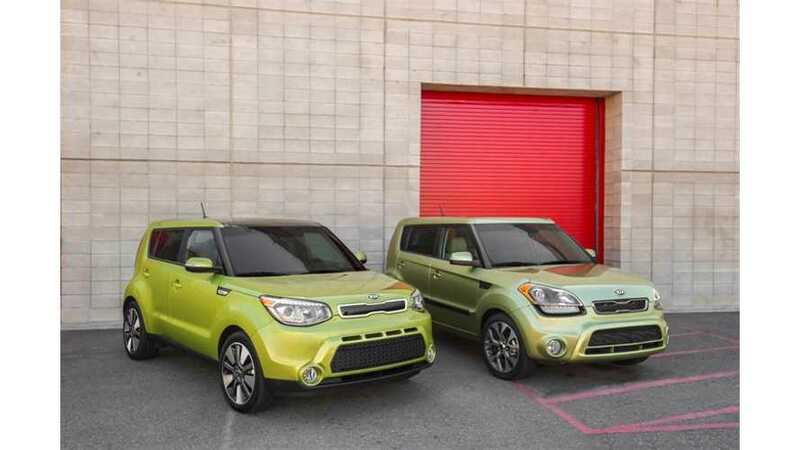 But if priced right, we're thinking the Soul EV will be a hit, provided Kia decides to manufacturer it in volume.